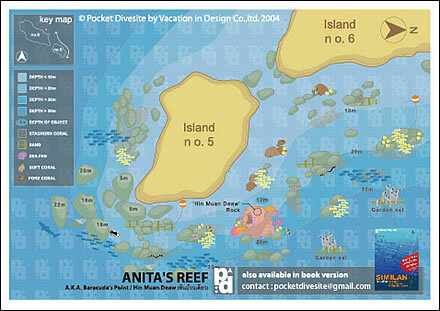 Also known as Honeymoon Bay this site offers some isolated boulders at depth where whitetip reef sharks may be spotted. 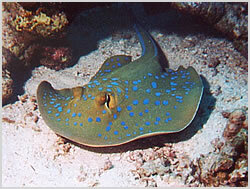 Not much coral growth down here only the occasional blue spotted ray burrowing into the sand. Slowly ascending as the topography changes and more hard coral is abundant the fish life will increase where anthias, fusiliers, emperors and butterflyfish are present. This dive site is close by, it offers coral gardens and a large rocky outcrop called "Hin Muan Daew" that is carpeted with corals and plenty of macro life.